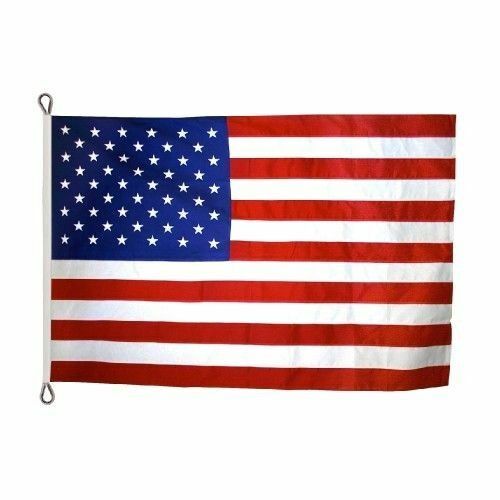 AmericanFlags.com carries a wide selection of American flags made of polyester, nylon and cotton in all sizes suitable for outdoor display on any flagpole. Our US flags meet all official specifications and are sewn and shipped with American pride. We have hundreds of thousands of American flags in-stock and ready to ship directly to your door, so you'll get your flags fast. When you shop at AmericanFlags.com, you are buying direct, which means that you'll pay less for better, longer lasting American flags.